Blogger makes it very easy to add pictures to your blog or web page. All you need to know is where the picture is that you want to add. Is it on your computer? Or is it on the web? Keep reading and we’ll tell you how to do it. If you prefer that we “Show You How,” we have a couple of tutorial videos you can watch that show exactly what we mean. You do need to be a member to watch these videos. You start by positioning the cursor where you want the picture to appear and clicking the “Insert Image” button on the Blogger Post Editor’s toolbar. Upload: This means the picture you want is on your computer and Blogger will handle uploading it from your computer to the Web so it can display in your Blog. 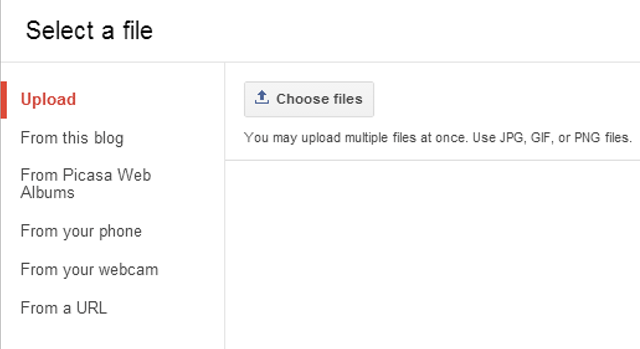 Click “Choose files” and you will then see your computer filing system where you can navigate to the folder where your picture is, click on it and then click Upload. Behind the scenes, Blogger is actually uploading your picture to a special album in Picasa Web Albums (now Google+ Photos) and then linking it in to your blog. 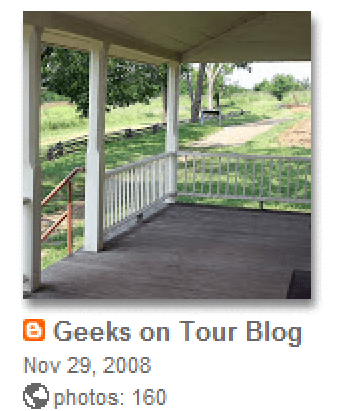 If you go to your Picasa Web Albums and look at your albums carefully, you will see one that has the orange B for blogger. That is where all the pictures you’ve uploaded are being stored. Do NOT delete this album, or the pictures in your blog will disappear. From this blog: This means the picture has been uploaded to your blog at some time in the past, using the procedure above. It will look in that special Web Album for the picture you want. I have never used this option since I don’t post a picture more than once. Using Picasa on your computer and the Share button, upload your best pictures to appropriately named albums for sharing and viewing on the web. Using Blogger and the “From Picasa Web Albums” option, choose the album you created in step 1 and you will see all the pictures. Note: The term “Picasa Web Albums” refers equally to “Google+ Photos.” Google is in the process of rebranding but it’s just one set of photos. From your phone: This is a tad misleading since the pictures are not coming directly from your phone. Blogger is assuming that you’ve installed Google+ on your phone and are using the capability to automatically upload every picture your phone takes to a private album on Google+. Blogger is simply accessing that album. From your webcam: This actually uses the camera on your laptop’s cover to take a picture. After you snap the photo it will be uploaded to the same Web Album dedicated to this blog. From a URL: This one is different from all the others. This one can use any picture that you can see on the web, not just your own. All you need is the URL of the picture. It can be a friend’s photo on their blog or web album, it can be a picture you see on Facebook or any other website. If you’re using the Chrome browser, you can get a picture’s URL by right-clicking on it and then “copy image URL.” With Internet Explorer you right click and choose Properties, then you’ll see the URL that you can copy. 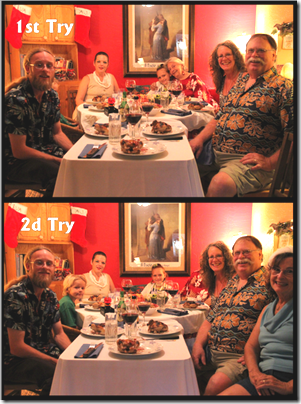 A URL for a normal picture will start with http:// and end with .jpg (or possibly .gif or .png.) Just realize that, if that picture ever gets deleted or moved by its owner, then it will disappear from your blog. Live Writer is a free program that you can download from Microsoft as part of its Windows Essentials package. Live Writer is an offline Blog authoring tool. I create all my blog posts with it. If you use Live Writer, then you don’t use the Blogger tools listed above at all. You create your blog post using LIve Writer kind of like you’re using a word processing program. When you’re finished, you just click the publish button and your work is uploaded to your Blog. It is wonderful. For members, we do have one tutorial video: Quick Demo of using Live Writer.